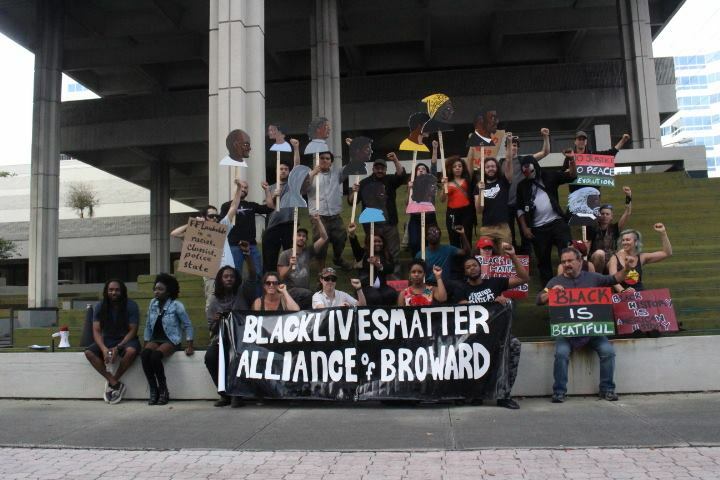 Black Lives Matter Alliance Broward engages in a variety of activities, such as demonstrations, educational activities, and community outreach. The Alliance has one monthly meeting for updates and planning from the whole group, every last Tuesday (changed from Wednesday as of August) of the month at the Unitarian Universalist Church of Fort Lauderdale at 7 pm. 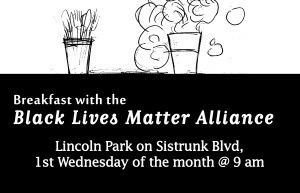 The Alliance has one other recurring monthly activity at this time, Breakfast with the Black Lives Matter Alliance, the first Wednesday of every month at 9 am, at Lincoln Park on Sistrunk Boulevard, or 1800 NW 6th St, Fort Lauderdale. Please feel free to come get a meal or help serve food. The Police Brutality Subgroup of the Alliance also meets on a regular basis. The Police Brutality Subgroup has campaigned for Justice for Jermaine McBean as well as other victims of police brutality in the Fort Lauderdale area. To get more information about the Police Brutality Subgroup or any other Alliance activity, fill out the contact form below. You can find most of our upcoming events, regularly scheduled or otherwise, on our calendar at right. The Alliance has also contributes to the Taken Down Slavery Symbols in Hollywood Campaign, which seeks to rename streets in Hollywood that are named after Confederate Generals such as Nathaniel Bedford Forrest and Robert E. Lee.